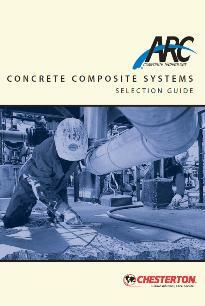 Using the guide to the right, it is possible to find relevant concrete composite materials for given applications. Click on the picture to the right to receive the guide in pdf format. The guide fills approx. 1.5 MB.